The Tel Aviv Performing Arts Center, residence of the Israeli Opera, was designed by the late Ya’akov Rechter and was opened to the public in October 1994. TAPAC has soon become a focal point for cultural and artistic events in Tel Aviv. Its spacious stage with its state-of-the-art facilities, the up-to-date sound and lighting systems and the acoustic qualities of the auditorium enabled, for the first time in Israel, the performance of operas, ballets and musical events on an appropriate stage. TAPAC forms the main part of the Golda Center, located between Weizmann St., Shaul Hamelech Blvd. and Leonardo da Vinci St. This area had been designated for public buildings in the late 1950s, when it was decided to build the Court Houses on its eastern part. Throughout the years, the Tel Aviv Museum of Art, Beit Ariela with its Sha'ar Zion Library and the Piazza connecting them were built there. In the early 1980s, the Municipality of Tel Aviv-Yafo designated the western part of the area for the Performing Arts Center, one of the major cultural complexes of Tel Aviv. Since its inauguration, TAPAC has been the permanent house of the Israeli Opera and later on its additional wing was completed, housing the Cameri Theater. "...Architecturally, the Performing Arts Center represents the goal of combining an edifice of impressive public presence, with the informal none- monumental character of Tel Aviv. In principle, the building blends with the scale of the existing buildings in the area, be they the residential buildings on Leonardo da Vinci St. or the Library and the Museum. The entrance gates on one hand and the fly tower on the other hand, are the only components that do not comply with the environmental scale, endowing the building with a great deal of public presence, befitting its role as a major center in the urban texture. The story and history of opera in Israel could have become the plot of one of the most exciting operas ever written. It is a story about pioneers who relentlessly fought to maintain their artistic dreams in a nation yet to be born. It is a story of struggle and love, of faith and despair, a story that eventually, 93 years later, puts Israel very proudly on the international opera map. It is a story that began in 1917 in Moscow, where Mordechai Golinkin wrote his thesis The Vision of the Hebrew Art Temple of Opera Work in Palestine. Six years later Golinkin arrived in Palestine to make his dream come true. Opera life in the pre-statehood Israel began in Tel Aviv on July 28, 1923 with Verdi's La traviata. As no opera house was in existence in the city, which was all desert, Golinkin's Palestine Opera had to perform in movie theatres. Golinkin directed the Palestine Opera for four years, and in 1940, the composer Marc Lavry and the conductor George Singer established the Palestine Folk Opera. By 1945 sixteen productions had been staged, among them the first opera in Hebrew, Dan the Guard by Lavry, the poet Shin Shalom and writer Max Brod. A major change came on November 13, 1945 when American soprano Edis de Philippe landed in Israel and within a short time created the Israel National Opera. De Philippe's company performed night after night all over the country. 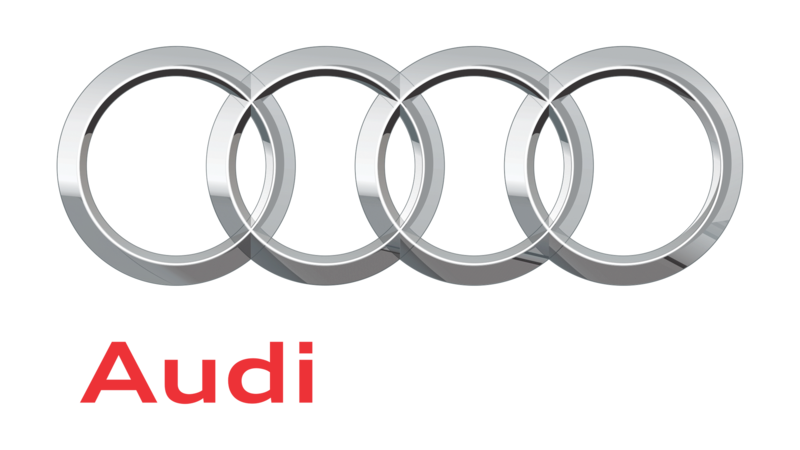 The company was so successful, that it attracted young and rising international opera stars to spend some time in Israel. One Spanish tenor spent three years here in the early 1960s. It was in Tel Aviv that he learned the basic tenor repertoire before embarking on an international career. His name is Placido Domingo. In 1982 the Ministry of Culture and Education decided to cease its funding of the Israel National Opera, but Israeli society quickly felt the void. In 1985, The Council for Arts and Culture created The New Israeli Opera by brokering a partnership between the Cameri Theatre of Tel Aviv and the Israel Chamber Orchestra. Uri Offer, the then general director of the Cameri Theatre, was appointed general director of the New Israeli Opera, a post he held for a decade, and Yoav Talmi, who was the music director of the Israel Chamber Orchestra, was appointed music director of the New Israeli Opera. The New Israeli Opera featured as its first production Dido and Aeneas by Purcell at the Cameri Theatre in Tel Aviv. The Israeli Opera today, led by General Director Hanna Munitz, is constantly expanding its base of fans. It currently enjoys the support of over 18,000 subscribers and mounts an average of eight productions each season. Israeli Opera productions feature leading opera artists from all over the world side by side with Israeli opera artists. These days the Israeli Opera collaborates regularly with leading opera houses all over the world and enjoys rave critical reviews in the international opera press for its performances on home turf and abroad. All Israeli Opera productions are sung in the original language with Hebrew and English surtitles and presented at the state-of-the-art Opera House at the Tel Aviv Performing Arts Center, opened in 1994. In recent years the Israeli Opera also presents dance, classical music, jazz and children music series at the Opera House. The Opera House foyer, the gathering area between the main entrance and the auditorium doors, comprises three open levels, which create one harmonious space with a glass façade looking over the Opera House piazza. 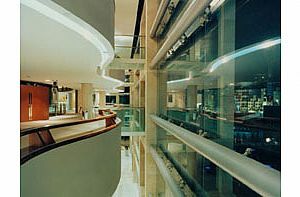 The interior design of the foyer was created by architect-designer Ron Arad, who included in it different elements such as “the island”, wrapped by a spiralling curved ribbon made of steel and concrete, the bronze wall, the bars and the café furniture, whose design corresponds with the architectural nature of the foyer. Visitors at the foyer can enjoy temporary art exhibitions, various performances at the small amphitheater, the café and the Zlil music shop. The box office is also located at the entrance of the foyer. The foyer is open Sun.-Thu. between 9:30 am – 8:30 pm and on Fridays and holiday eves between 9:30 am – 1:00 pm. The foyer is also open during performances. The upper gallery opens half an hour before the performances. The different levels of the foyer are a venue for sculpture, photography and painting exhibitions, which vary every month. The exhibitions are curated by Udi Rosenwein and are courtesy of Yochy and Itzhak Shrem. The foyer features various performances, including shows for children, open days at the opera and other events. The shop offers a wide range of opera and classical music CDs as well as DVDs. Zlil is open between 16:00 – 19:00 or until the end of the performance. The Café at the foyer opens an hour before the performance and remains open until the end of the performance. The Kosher buffet serves dairy food.